“You can see so far off into the distance here,” Mom said, as we road along Highway 50 through the Flint Hills of Kansas. I was surprised by her reaction since she just lives across the state line in Missouri. 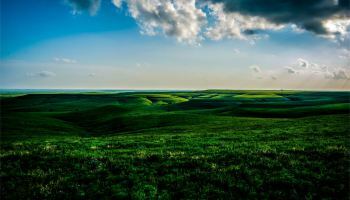 Still, as I looked out the bus window, I could see why she was enthralled by the landscape, with its western horizon which goes on forever, green rolling hills of prairie grass changing hues in the shade of the passing clouds overhead, and the specks of cattle—and sometimes buffalo—grazing away the day. We were on our way to Peabody, Kansas on a Prairie Earth Tours weekly lunch trip. 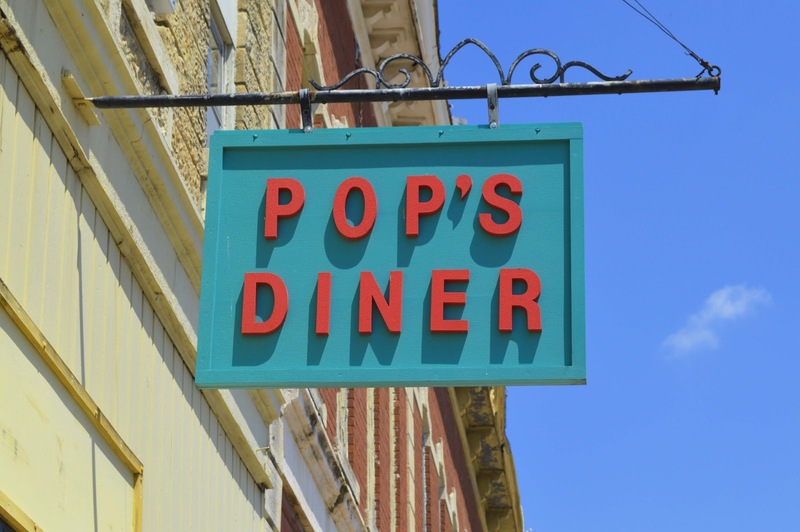 Owner Casey Cagle invited us to go along with this week’s group of hungry people headed to Pop’s Diner for lunch. 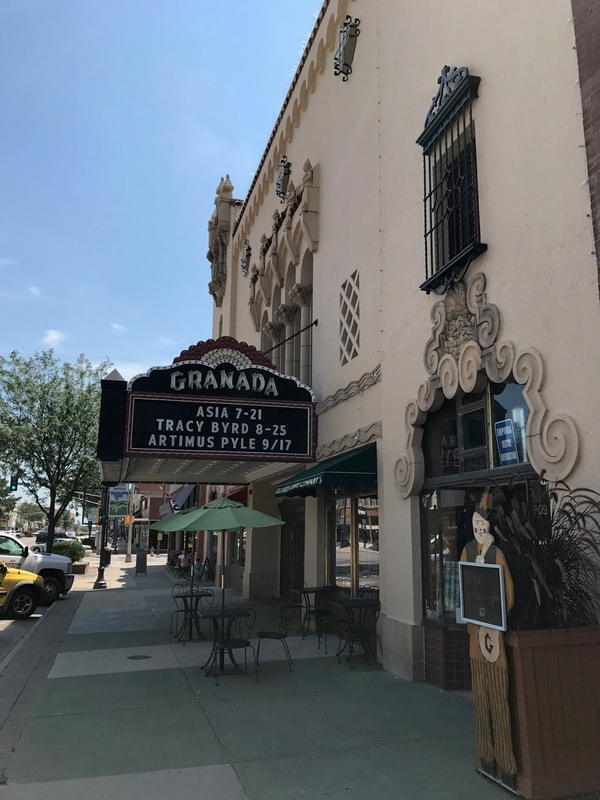 Each week the tours go to a different unique, locally-owned restaurant, often in a small Kansas town. It’s Casey’s way of giving people an authentic Kansas experience. Casey started his tour company last year. He has lots of experience guiding people around, including a stint living and giving tours in Australia. But, being a Kansas boy at heart, he wanted to find a way to interest people in the state. The weekly lunch tours seemed like a great idea because, well, who doesn’t like to eat! 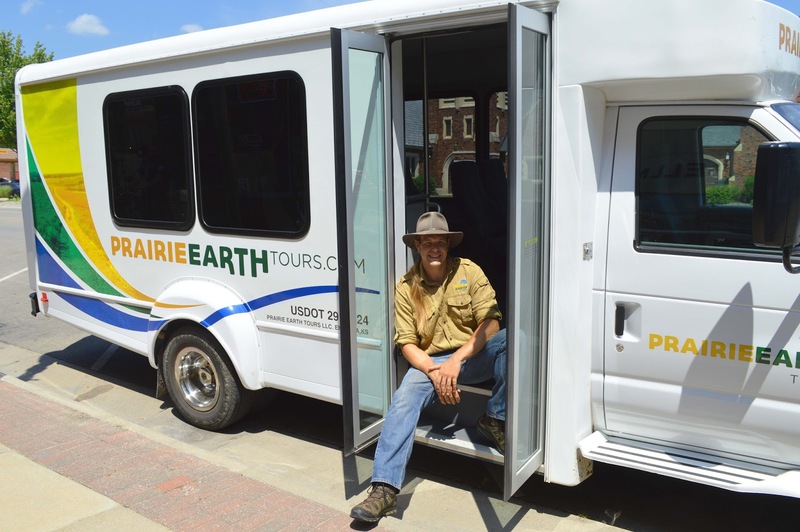 The bus holds only 14 people, and many of them are regulars who take the trip every Tuesday. 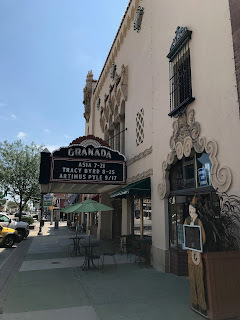 We gathered at the Granada Coffee Company, which is right next to the beautifully restored Granada Theatre in downtown Emporia. After getting drinks for the road, we all boarded the bus and headed to Peabody. 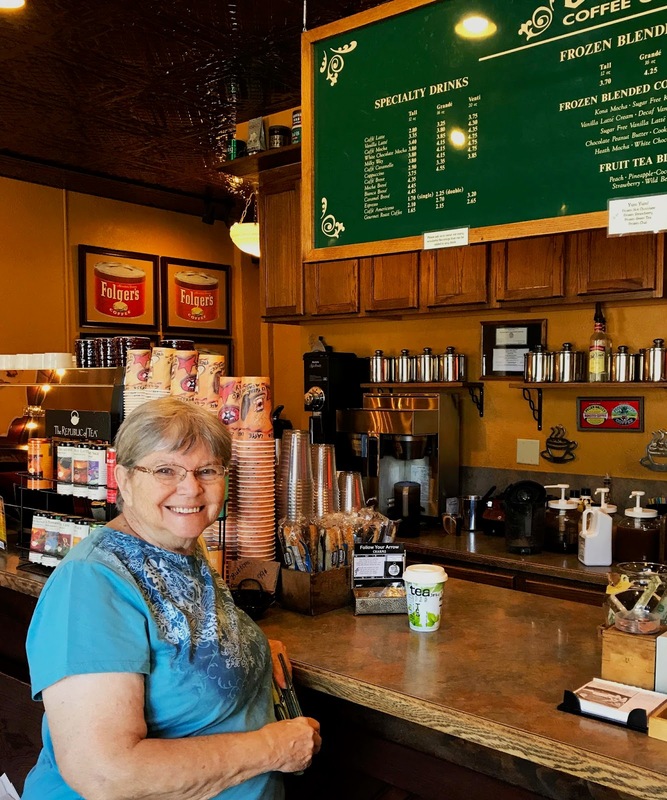 Along the way, we picked up Christy Davis, who is the director of the Symphony in the Flint Hills program and a font of knowledge about the small towns in the area. 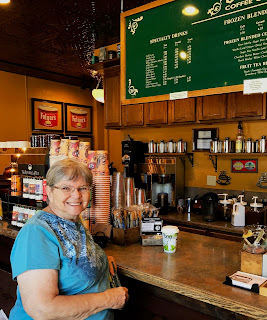 Christy told us about Peabody while we traveled down the road. The town was named after F.H. Peabody of Boston, who was a former vice-president of the Atchison, Topeka and Santa Fe Railway. The community was established in the 1870s. The downtown is known for its 1880 architecture, most of it built after the devastating fire of 1884. The town of Peabody appeared just the way you would expect a small rural town to look. 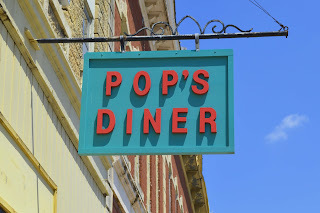 We pulled up in front of Pop’s Diner, ready to eat and explore. Pop’s had just moved into a new space across and down the street from its old location. The new spot was once a Mexican restaurant, which was evident from the bright colors on the wall. The food, however, was true diner fare. 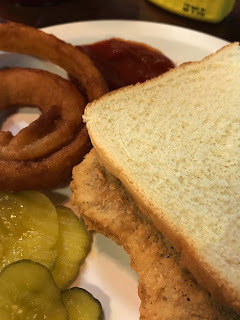 I got the pork tenderloin sandwich, which was served on white bread, and a side of both onion rings and house-made fries. I ate it all! Many of the tour group got the daily special of BBQ brisket. Since it was almost 100 degrees outside that day, Mom chose the fruit plate with chicken salad. Other than there being a touch too much dressing on the salad, she liked her lunch very much. Before we left, I got a cinnamon roll with raisins to take with me. Mom and I ate it for breakfast the next day, and it was WONDERFUL! People should put raisins in cinnamon rolls more often. It was so good I forgot to take a photo!